With Hudson County roots, Iacono Iron is a driving force in the industry. 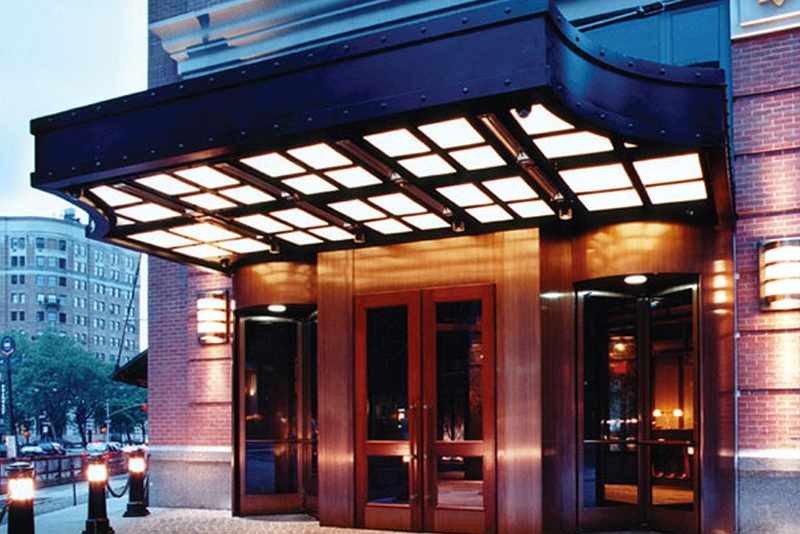 The canopy at the Tribeca Grand Hotel (the Roxy) was constructed by the company. 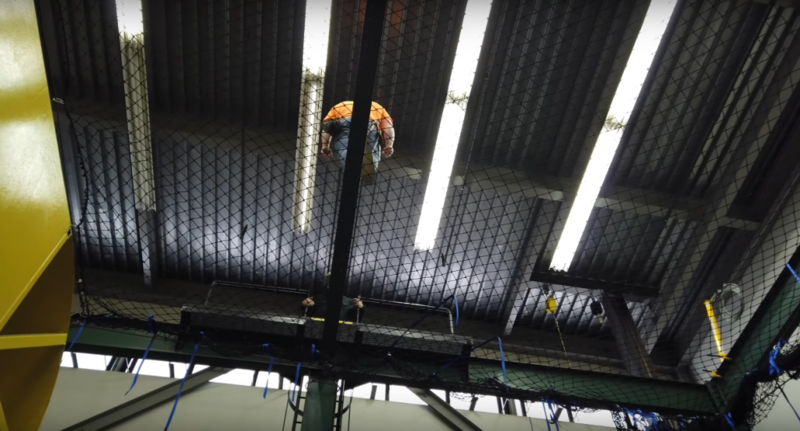 Iacono designed an OSHA training ground for ironworkers. 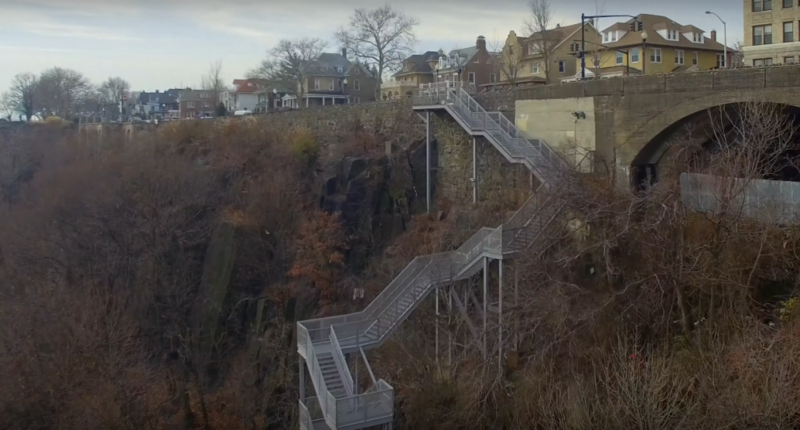 These stairs are one of many Iacono projects along Weehawken's waterfront. Iacono Iron prides itself on high-end projects. In high-end iron work, a balance of aesthetics and engineering is crucial in designing historic landmarks. At the helm of a family company with Hudson County roots, Weehawken native Guy D. Iacono is the third generation to head his family’s ironworks business. He’s devoted his life to creating internationally-recognized works. His vision was inspired by his predecessors. Iacono’s grandfather founded Arrow Iron Works in 1928. Though the company has gone through major setbacks, dissolutions, and name changes, the business is celebrating its 91st year, now under the name Iacono Iron. The company, which boasts several landmark construction projects throughout the country, has been led by three generations of Iaconos: Guy Dello Iacono, followed by former Weehawken Mayor Stanley D. Iacono, and now Guy D. Iacono. 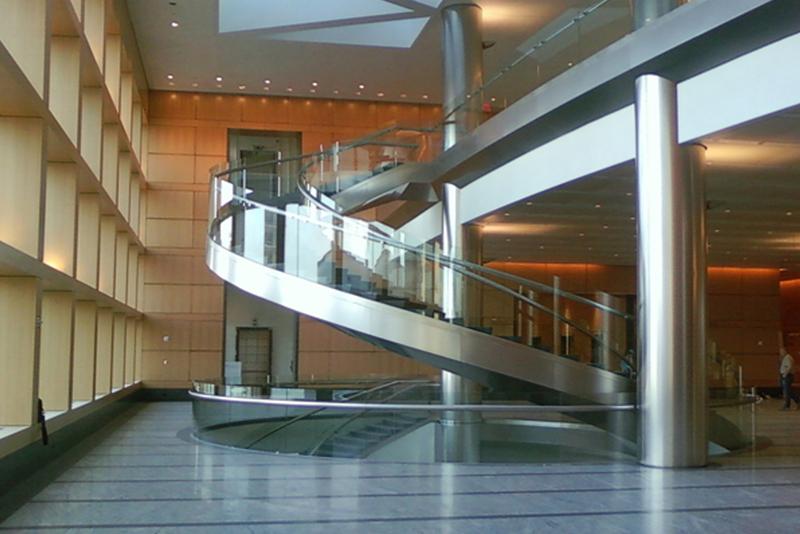 The company portfolio includes prominent features at PNC Bank Arts Center; The High Line in New York City; the Tribeca Grand Hotel in New York City (now known as the Roxy); support frames and exhibits at Liberty Science Center; a freestanding spiral staircase at Goldman Sachs’ corporate headquarters in Manhattan; the stairway at the 2nd Avenue Subway Station in New York City; the revitalized Liberty State Park Train Terminal in Jersey City; architectural features at Rutgers University in New Brunswick; a stairway in New Brunswick’s Hyatt hotel; a solar canopy at Ramapo University; and a stairway on the palisades in Weehawken. For the younger Iacono, taking the reins of the business was a natural calling. Iacono graduated from Weehawken High School in 1975, and did some acting after graduating from the American Academy of Dramatic Arts. With the township of Weehawken, he staged about 20 productions as director, and directed the town’s cultural affairs department for 10 years. After several years in theater,in 1990, Iacono again picked up the ironworks baton. Shortly after he took control, he shut down the business due to contractual issues, before reemerging under the name USA Iron. Iacono said that the company, under the leadership of his father, Stanley, was a driving force behind the residential and commercial development of Weehawken’s waterfront. But it wasn’t a walk in the park. In 1983, the New York Times reported that Weehawken’s then-mayor Wally Lindsley was convicted and imprisoned for attempting to extort hundreds of thousands of dollars from developers who planned to build a chicken processing plant on the Hudson River waterfront. Stanley Iacono took over as mayor in the interim. Richard Turner, Weehawken’s current mayor, served as a state-appointed township manager during Stanley’s tenure. According to Iacono, the Lindsley scandal was a catalyst for the Port Imperial development today. The pivotal moment of the younger Iacono’s career was recovering from superstorm Sandy, in October 2012. At that point, the company was in Kearny next to the Hudson County Correctional Facility. Under the name Iacono Iron, Iacono focused on competitive, high-end construction in addition to the company’s bread-and-butter business, giving it a global reach. Now, Iacono Iron bids on work in Miami, Boston, and Los Angeles, as well as international projects. Iacono’s mission statement is knowing, with confidence, that he’s doing the right thing and is doing right by all parties involved. What started as a blueprint doodled on a napkin became a prototype called “the erector set,” which trains thousands entering the construction industry through Local 508 in Springfield, which is in Union County. With a life-size structure, trainees can hammer out various structural beam connections, manage a crane, and learn other construction fundamentals. For updates on this and more stories check hudsonreporter.com, or follow us on Twitter @hudson_reporter. Mike Montemarano can be reached at mikem@hudsonreporter.com.